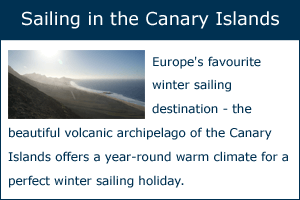 Sailing holidays come in many different guises, and the purpose of this page is to help you choose which type of vacation is best for you, depending on whether you are an experienced sailor, a novice, or whether you’d like to sign up for a course and learn how to sail. We talk you through the different boat charter options (including bareboat, skippered and cabin charter) and through the different types of boat you can choose from – which are normally sailing yachts (monohulls), catamarans (two hulls) and motor boats. We’ll also touch on other types of sailing vacations, such as flotilla holidays and fishing trips. The most basic type of sailing holiday is to charter (ie. hire or rent) a yacht, catamaran or motor/power boat on its own, without a skipper (captain) or crew. This type of charter is called ‘bareboat’ and using the search engine in our header you can search for a bareboat charter in the country/region of your choice! Naturally, this option is only viable for experienced and qualified sailors, and boat owners will insist that you provide an ICC – International Certificate of Competence – before they hand you the keys to their beloved yacht. The advantage of bareboat charter is that it makes you completely independent. You can set your own itinerary and sail wherever you like, as long as you have the vessel back in its original port on the specified time and date. Skippered yacht charter (sometimes referred to as ‘time’ or ‘voyage charter’) is by far the most popular type of sailing holiday and involves hiring a yacht/boat AND a qualified skipper to captain it. With a skipper on board taking responsibility for the safety of both the boat and those on board, passengers can then relax and enjoy their vacation. (Having said that many novice sailors like to get involved with the hands-on work as well, and a skippered yacht charter can be a great way to get a taste of what sailing is all about, and still have a relaxing holiday at the same time). Depending on the destination, time of year and strength of the winds, a skippered charter can be a very leisurely affair of cruising islands and bays, sunbathing and stopping off at picturesque harbours (this is usual for anywhere in the Mediterranean during summer! ), or it can be a more hands-on, active holiday for those who wish to participate in the ropework, winching and steering (in which case good locations are the UK or the more choppy Atlantic or Baltic Sea). On a skippered charter the daily sailing itineraries are usually decided by discussion between the skipper and his/her passengers. Typical charter lengths would be day charter, weekend charter or one or two week rentals. During peak season many yacht charter companies in top sailing destinations, such as Spain, Croatia and Greece, will only rent their boats in blocks of one or two weeks. You can also use our search engine to search for skippered charters. Start by entering your preferred destination and dates. When it comes to selecting the boat, nine times of ten you will be able to add skipper (this usually increases the cost of the charter by 1000 euros a week). 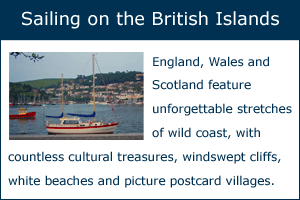 Not all of our boats are available for skippered charter however (the other one out of ten!) in which case you will have to select another boat. If you are chartering a larger boat or luxury yacht you may need to hire a small crew, in addition to the skipper, in order to safely man the vessel. Renting an entire boat can be expensive, so individuals, couples or small groups may want to opt for a cabin charter. Self-explanatory really, instead of forking out for an entire yacht you simply rent a cabin, or even individual berth, on a skippered yacht and prepare to sail with the rest of the crew/passengers following the boat’s itinerary (this is often fixed, and then the yacht owner will sell space on a first come, first served basis until all the cabins are taken). This option is fun and sociable, but obviously you’ll need to be able to live with strangers in a close environment before you consider this as a vacation option! We don’t currently have any cabin charters on our search engine, but do send us an enquiry and we’ll try to find one for you. Another popular type of nautical adventure is to take sailing lessons. There are companies that offer sailing courses around the world of varying length and intensity, depending on what your personal aims are. The most basic qualification, benchmarked by the British Royal Yachting Association (RYA), is the RYA Competent Crew and is the perfect start for complete beginners, covering such aspects as hoisting sales, steering, ropework and basic safety. The qualification that most amateur sailors aim for is the RYA Day Skipper however, as this enables you to skipper a yacht in coastal waters. Those achieving RYA Day Skipper should be able to easily obtain their ICC (International Certificate of Competence) from the Royal Yachting Association. More competent sailors can keep aiming for higher and higher qualifications and you can read more on our sailing courses page (coming soon!). If you’re interested in learning how to sail, please send us an email with where and when you’d like to learn the ropes! A flotilla in nautical terms is a lose group of boats sailing together. On a flotilla holiday you charter one of those boats and sail side by side the others, behind a lead yacht from destination to destination. The main advantages of a flotilla holiday is that many companies will allow you to charter their boat with minimal qualifications – safe in the knowledge that an experienced captain and crew are close at hand in the lead boat. The other advantage is the social side and you’ll be able to go swimming, sunbathing, enjoy BBQs and go out on shore with your new friends from the other boats! Naturally you lose a bit of independence on a flotilla holiday, and most flotillas will follow a set itinerary. 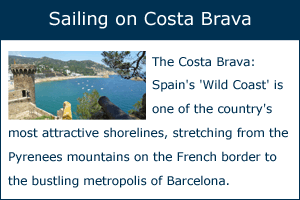 For more on flotilla holidays head to our dedicated page (coming soon!). For now send us an enquiry. Many holiday-makers like to combine a spot of sports or deep sea fishing with their vacation and as such, in all the premier sailing destinations in the world, you’ll find charter companies who offer boats (normally motor boats) with state of the art fishing equipment for reeling in one of Mother Nature’s big ‘uns! The key is to book your holiday with a reputable provider who has all the right fishing licenses, and of course someone who knows the local waters well and where you best bet is to land a big catch. Otherwise you’ll be resorting to fisherman’s tales about the one that got away. If you need help locating a fishing boat experience send us an email. In addition to all of the above many boat owners, especially in touristic destinations like Ibiza, Barcelona and Miami, offer travellers the option of day cruises and other short trips by boat. 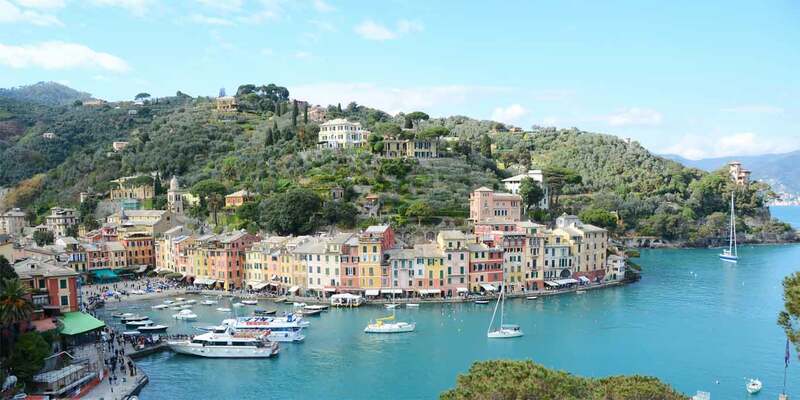 These normally leave from a popular marina and follow a set itinerary, perhaps to a local landmark and back again and very often involve a large amount of drinking, eating and partying as well. These often take place on medium and large-sized boats/yachts capable of accommodating a large number of passengers and will always be skippered by a qualified captain. If you’ve left it late to book your vacation and are flexible about location then check out our section on last minute sailing deals where we list the latest special offers from charterers in Europe, the Caribbean and around the globe!